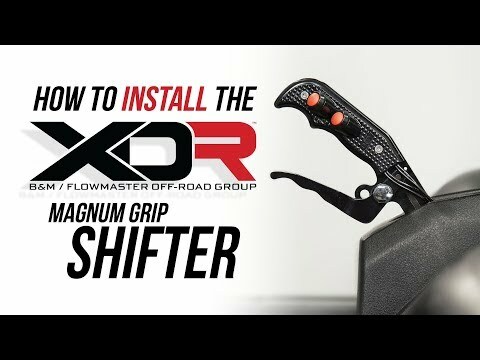 XDR (B&M/Flowmaster Off Road Group) is proud to introduce our new Magnum Grip Hill Killer gated performance shifter for 2008-2018 Polaris 570, 800 and 900 RZR side by sides without a factory console shift boot. 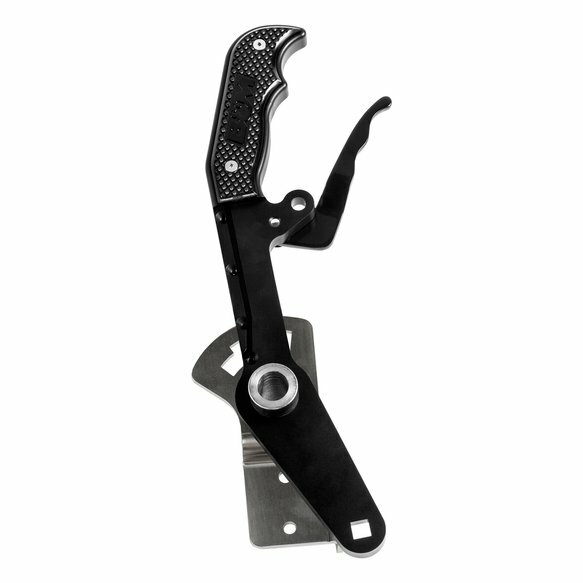 The Magnum Grip shift handle features CNC billet aluminum construction, an ergonomic design for a modern aggressive look, replaceable midnight black polycarbonate side grip plates and spring loaded stainless steel trigger for positive locking and unlocking in and out of Park. The Hill Killer gate plate was designed to be used as a safety device when attempting steep hill climbs. 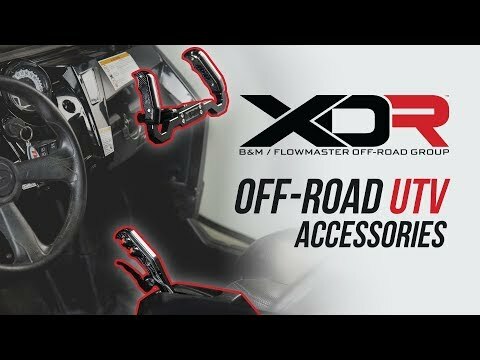 This is done by eliminating the reverse lock out feature of the ratchet gate plate, ensuring quick shifts from forward to reverse gear in an attempt to save the front end from going over backwards when climbing steep hills. The gate plate is constructed of heavy 10GA 304 stainless steel for durability and long life. 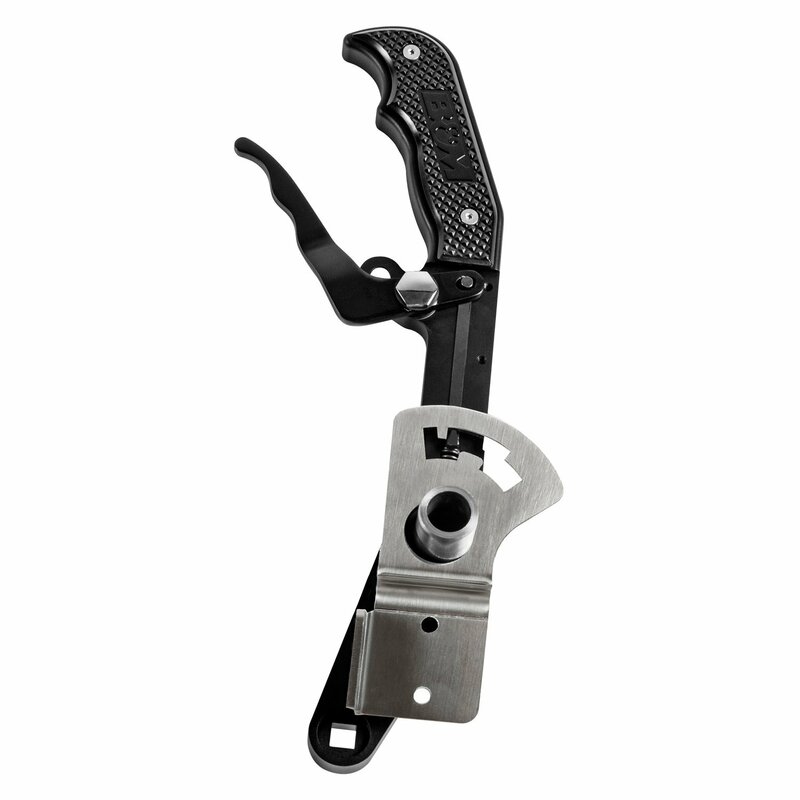 Other features include MIL-Spec anodized black finish, stainless steel gate plate, bushing rod and trigger. Includes all necessary hardware and easy to follow installation instructions. Be sure to check out all the colors and finishes of side grip plates available for the Magnum Grip shifters to customize your Maverick's interior. Warning: It is Not recommended to intentionally and/or repeatedly go from a forward gear to a reverse gear while moving for fear of personal safety, and to avoid potentially damaging drivetrain components of your vehicle.